Entertainment Desk: Former India actress Pooja Bedi, who recently got engaged to boyfriend Maneck Contractor, told Bombay Times that they plan to get married later this year. Maneck proposed to Pooja on Valentine's Day and took her on a hot air balloon ride, pictures of which were shared by her on Twitter earlier. The couple happen to be schoolmates. 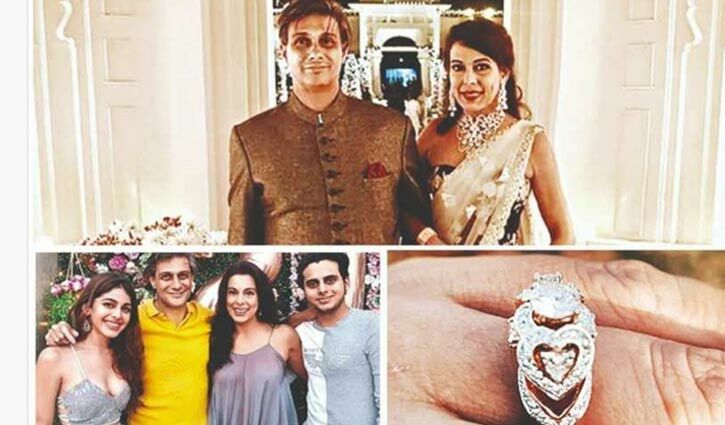 "Our wedding will take place later this year, when we align dates of Aalia's shoot and my son Omar's college holidays," Pooja Bedi, 48, told Bombay Times. She was previously married to Farhan Furniturewalla. They got divorced in 2003 and Aalia and Omar are her children with Farhan Furniturewalla. "I got divorced on February 14, 2003, and got engaged on February 14, 2019. I have had relationships in between and my kids have liked every person that I have been with. But it is very different with Maneck - they adore him and want him in our lives forever. Our families have merged beautifully. He has a wonderful open-hearted, jovial, Parsi family, who welcomed me," Pooja Bedi told Bombay Times.